Just a little peek to show you some of the new styles I've been working on for the Teen Hair Project. Try as I might, it turns out I just couldn't get my InWorldz hairstyles to export to the other grid (perhaps my very slow DSL internet connection). So after about a week of trying to fit a square peg into a round hole, I suddenly got the brilliant idea to just make new styles! So far they're going over well, and I'm expanding my skills and really getting into the theme of a medieval city and styles that might fit in better there. So this past week, I've made four new styles! If all goes well I'll figure out a way to import them back to InWorldz and share them with everyone. When I come up for air and sneak out of my studio, it's great to get to explore take in the sights. If you want to see more about the Kingdom of DeMolay grid and project, you can see some fabulous pictures of the build taken by RJ Kikuchiyo of Kiku*Craft, who is the main force behind all the authentic buildings and reproductions. Some amazing talent! Pictures here, here, here and here. 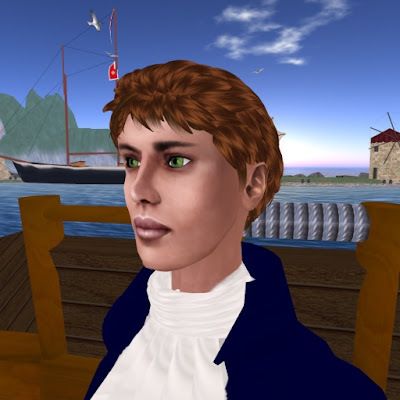 Or you can read more about it here on Metaverse Sailing. 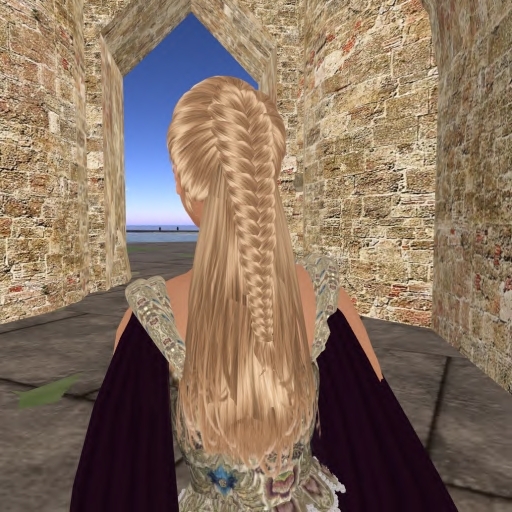 The project is coming along great, and I've really been enjoying my little artisan vacation, playing tourist in the medieval city of Rhodes while I've been away from InWorldz. It has brought a new perspective to my work, a breath of fresh air, and I've enjoyed meeting and working with another great group of talented people. I love those and I really like that red!!! Red one is the best. Thanks Kohkoh! Oh, gosh there's plenty of room for improvement, but I'm liking how it's all beginning. Misty and Bradd...Thanks! That's my favorite too! It's called Guinevere and it was made as a request from my friend Boaz Sands (of Simply Fae)who made the sculpted tendrils framing the face. She had started the style and gave up in frustration, as a pretty romantic medieval look they wanted to use for a photo-shoot in a few days. I'm so glad I got to work on it with her inspiration. She and I go way back in SL and she continues to be one of my very best friends and followed me over to InWorldz from SL. All the gowns you see here are made by her. Wow, are you sure you're new at making hair?! They look great! The first style is my fave but the red style looks lovely, too. So when are you going to release your IW hair?